The delegation pauses for a picture at the top of Trail Ridge Road in Rocky Mountain National Park. Some were surprised at how cold August in Colorado can be. 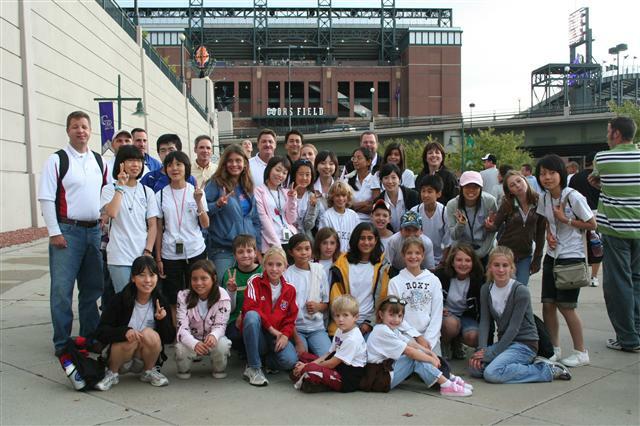 A Trip to a Colorado Rockies Game at Coors Field is always one of the Japan students most requested activities.